Jølster Panorama- Camp site at the wading edge of Jølstravatnet. 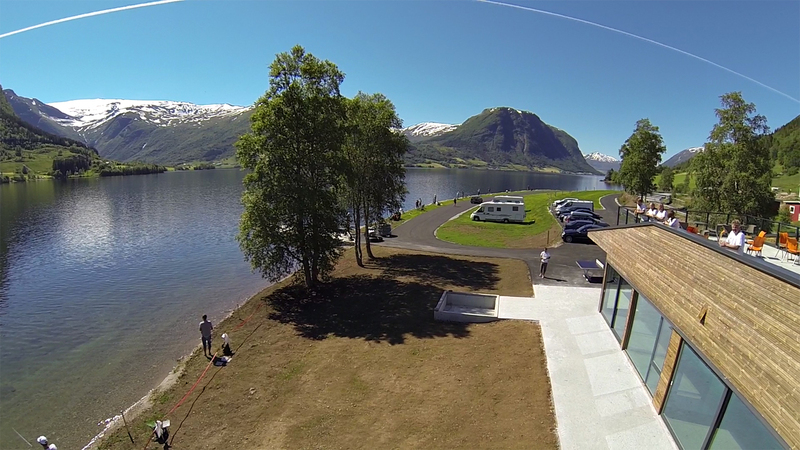 Located 1,5 km from Skei Servicenter, Jølster Panorama, an idyllic and modern camp site, just at the wading edge of Jølstravatnet. This camping site are perfect for fishing trout, experience beautiful nature, and breath taking hikes. We offer camping for carvans, motorhome and tent. Jølster Panorama was upgraded, with 40 caravan and motorhone places with electricity, in 2014, and are a new, modern versjon of Haugen Camping, an tradisonal camping. In 2014 there were also built a new, high standar, sanitery building, with kitchen, washer/dryer, big toilets and showers awaileble to our costumers. You can even hook up your own music via AUX in all of our bathtooms.